Hooksett Veterinary Clinic, Inc. in Hooksett, New Hampshire, offers a broad spectrum of medical and surgical veterinary services for dogs, cats, birds, reptiles, and other small companion pets. Dr. Meryl Meloy and Dr. Randy MacNeill bring a combined 40+ years of excellence in veterinary practice to your best friend’s care. 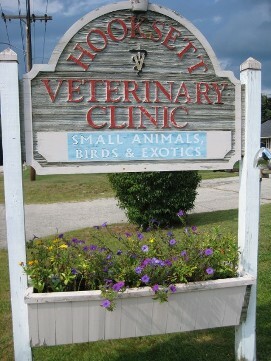 HVC has been a leader in veterinary care since 1970, serving Hooksett, Manchester, Concord and nearby towns. Under current ownership since 1985, we have been privileged to serve the needs of multiple generations of pets entrusted to our care by their families. We constantly welcome new clients and patients, treating newcomers with the same diligence and friendly expertise as our oldest treasured friends. Contact us in Hooksett, New Hampshire, and let our veterinary clinic work for your pet. In veterinary medicine, there is no substitute for a deep love for animals. 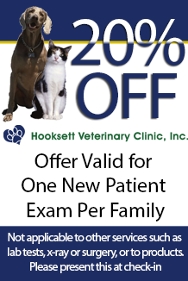 At Hooksett Veterinary Clinic, we couple this love and compassion with expert skills of our Doctors and staff, many years of experience, and customer service second to none. In every aspect of our work we strive to offer you and your pets not only the highest quality health care, but also the options available for your pet’s individual needs. We understand that clients vary in their goals, views and resources, and we offer the most progressive as well as meaningful practical choices for pet owners. Our motto, “We Treat Your Pet Like Family”, embodies our commitment to the pets in your family. We are dedicated veterinary professionals and we are also pet owners. At HVC our team provides both the medical expertise and the emotional support that every patient and client deserve. Please browse our website to learn more about our animal clinic and the services we provide for companion animals in Hooksett and the surrounding areas. Read information in our Pet Library, view videos, take a virtual tour of our veterinary hospital, read testimonials, and find details about upcoming events. Please call our office today at (603)485-8412 for all your pet health care needs.